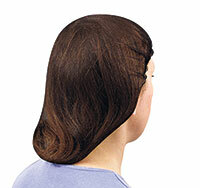 Reduces the potential for product contamination from stray hairs. Elastic band helps keep net in place. Widely used when working in food processing plants, hospitals, and manufacturing industries. Meets FDA specifications regarding the packaging of food, meat, and poultry products.